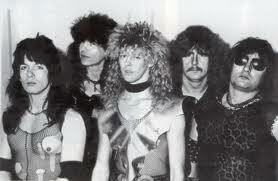 Sad Iron from Holland made two albums of Evil Fantasy Metal: “Total Damnation”- 1984 LP and “The Antichrist” 1985 LP. Sad Iron logo that is crying. The music, if you can call it that, of this band is pitiful, Garbage Metal.